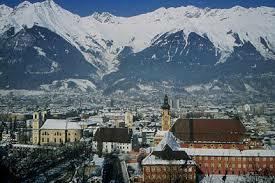 The capital of the western state of Tirol, Innsbruck is well-known as a winter sports destination. 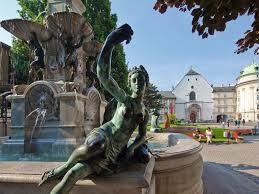 The city is located in a magical setting with the Alps all around. The city itself has lots to offer tourists and then you can stray up the mountains and into the meadows for breathtaking views. In winter this is the ideal place for skiing and other winter sports and in the summer months for hiking and mountain climbing. 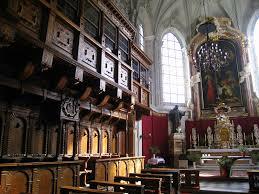 Gothic Hofkirche is one of Europe’s finest royal court churches. Ferdinand I commissioned it in 1553. One of the highlights is the empty sarcophagus of Emperor Maximilian I which is a masterpiece of German Renaissance sculpture intricately carved from black marble. The tomb is decorated with white marble reliefs that depict victorious scenes from Maximilian’s and is the artwork of Alexander Colin. 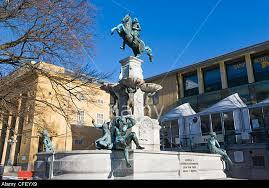 There are twin rows of 28 giant bronze figures guarding the sarcophagus among them Durer’s legendary King Arthur. Also entombed in the church is Andreas Hofer who was the Tyrolean patriot leading the rebellion against Napoleon’s forces. Keeping watch over the marble tomb of Archduke Ferdinand II and his first wife, Philippine Welser is a silver Madonna. The Hofburg was built as a castle for Archduke Sigmund the Rich in the 15th century. 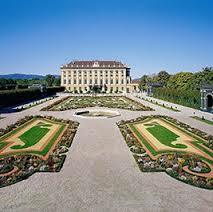 It was later expanded and added to by Emperor Maximilian I in the 16th century and by Empress Maria Theresia in the 18th century. Its centerpiece is the 31m-long Giant’s Hall. Here you can see frescoes and paintings of Maria Theresia and her 16 children (including Marie Antoinette). There is much to delight the eye in the Tyrolean State Museum where you can see history and art from Bronze Age artifacts to the original reliefs that were used to design the Goldenes Dachl. Among the artwork are masterpieces by Rembrandt, an impressive collection of Austrian art including Gothic altarpieces, some Klimt and Kokoschka paintings and amazing Viennese Actionist works. Most specific to Tirol are the late-Baroque works by fresco master Paul Troger, Kitzbuhel winterscapes by Alfons Walde and depictions of rural life in postwar Tirol by Albin Egger-Lienz. 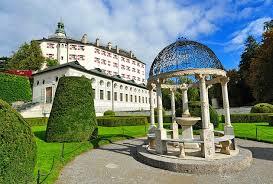 Sitting atop of a hill with lovely gardens is the Renaissance Ambras Castle. Archduke Ferdinand II acquired the castle in 1564 and transformed it from a fortress into a palace. 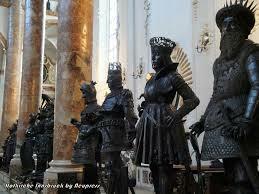 One of the centerpieces is the Spanish Hall with an impressive armor collection. 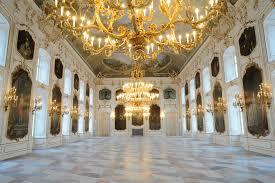 This is a 43m-long banquet hall with a wooden inlaid ceiling and Tyrolean nobles gaze down from the walls. In the courtyard you’ll see the sunken bathtub where King Ferdinand’s wife Philippine used to bathe. Some of the highlights here are the Armor Collection which include the archduke’s wedding armor and the 2.6m suite created for court’s giant Bartlma Bon. The Art and Curiosity Cabinet offers interesting object such as a petrified shark, gravity-defying stilt shoes and the Fangstuhl – a chair that was designed to trap drunken guests at Ferdinand’s boisterous parties. 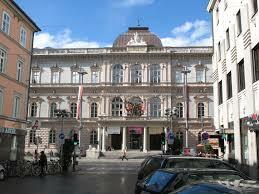 The Portraitgalerie has rooms full of Habsburg portraits with artwork by Titian, Velazquez and Van Dyck. Outside take a stroll in the Ambras Castle Park. This park dates back to 1574 and has fishponds, vineyards, game reserves, glasshouses and a round table that is powered by water. A special attraction is the artificial waterfall that was built in the 16th century. There are Renaissance flowerbeds and even wild gardens. Take a ride on the Nordkettenbahnen a space-age funicular that runs every 15 minutes. It takes passengers from the Congress Center to the slopes. There are also walking trails if you prefer, a downhill track for mountain bikers and two fixed-rope routes for climbers. Once you have reached the 2334m summit of Hafelekar you’ll get awesome views of Innsbruck and the snowcapped Austrian Alps including the 3798m Grossglockner. If you feel there are eyes upon you as you head on up these will be the eyes of the curious Alpine sheep. 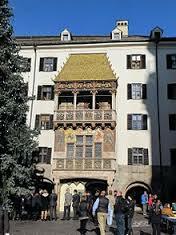 The most characteristic landmark in the charming Old Town, which is a wonder of Gothic and Baroque, is The Golden Roof. The Old Town has many lovely medieval houses painted in pastel colors. The main street is Herzog-Friedrich Strasse which eventually opens out into a central plaza lined with arcades. Attracting visitors are a labyrinth of mysterious alleyways. The city’s most famous symbol is the Goldenes Dachi or The Golden Roof, built to mark the wedding of Emperor Maximilian to Bianca Maria Sforza. 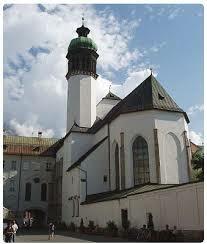 It was completed in 1500 and the roof is decorated with 2,738 fire-gilded copper tiles. This is actually a three-story balcony on the central plaza in the heart of the Old Town. It was meant to be a royal box for Emperor Maximilian I and his wife to be able to observe festivals, tournaments and events in the square below. The balustrade on the first floor is decorated with carved coats of arms that represent Austria, Hungary, the double-headed eagle of the Empire, Burgundy and Milan as well as Tirol and Styria. Mural paintings depict two-standard bearers with the flags of the Empire and the Province of Tirol. The Golden Roof has been home to the “International Alpine Convention Office” since 2003. The Golden Roof Museum has exhibits and interactive elements that tell the story of the unique building and its creator Emperor Maximilian Information and entertainment is offered in six rooms. You can learn about the way life was in ancient times. “Kunz von der Rosen” the mascot of the museum, accompanies children while they step back into history. In his time Kunz von der Rosen was court jester for Emperor Maximilian. For shopping or sitting at one of the pavement cafes and enjoying the Baroque architecture take a walk along Maria-Theresien Strasse. 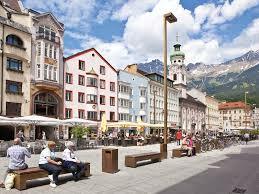 More than 700 years ago this street in Innsbruck’s New Town was an area of just a few farmhouses. The Old Town was surrounded by a strong circular wall and could only be entered through the St. Jorgen gateway. 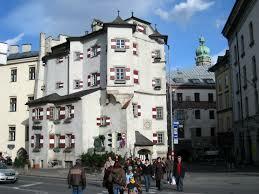 Soon aristocracy started building palatial homes along this way during the Baroque period. Once everything was redesigned now as you walk along this street you can see the impressive residences such as Palais Grumpp, housing the Tyrolean government and Palais Trapp with a charming inner courtyard and cafe. 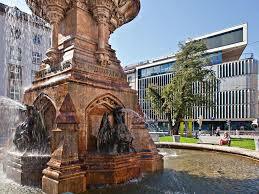 Walking along you’ll see wonderful monuments such as the St. Anne’s Column and the Triumphal Arch. The street was completely transformed in 2009 making it an elegant promenade with granite paving, benches and street lamps made of brass and wood. The north end is completely pedestrianized and the south end has wide pavements. 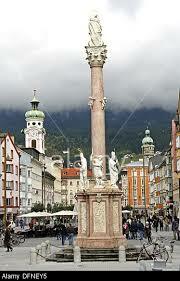 St. Anne’s Column was erected on July 26, 1703 in the center of Maria Theresien Strasse to commemorate the liberation of Tirol from the Bavarian troops. 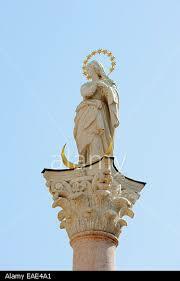 On the top of the Corinthian column is a red marble statue of St. Mary. Surrounding the column are statues of the Saints Kassian, Vigilius, George and Ann. These are the artwork of Christoforo Bendetti, an Italian sculptor from Trento. From the column you can view the city and surroundings in a northerly direction. 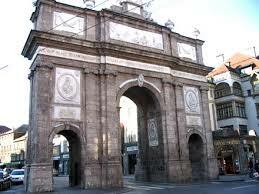 On the south end of Maria Theresien Strasse is the impressive Triumphal Arc. This was commissioned to be built by Empress Maria Theresia upon the marriage of her son, the Duke of Tuscany, later Emperor Leopold II. 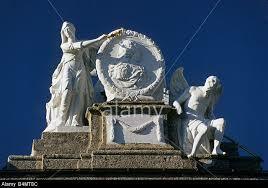 The marble reliefs were created by Balthasar Moll in 1744. The reliefs on the south side depict Leopold and his bride Ludovika, on the north side Empress Maria Theresia and her husband, Francis I Stephen of Lothringen. 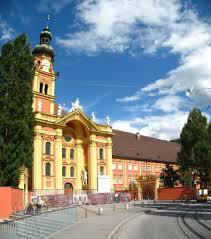 Wilten Abbey Basilica is a Rococo masterpiece and home to the famous Wilten Boys’ Choir. Lots of visitors come to see the late Gothic figure of “Our Lady under the Four Columns” displayed on the ciborium altar. This historic church was completely restored in the mid-18th century by clergyman and building dilettante Franz de Paula Penz. The church is open for viewing at any time except during church services. 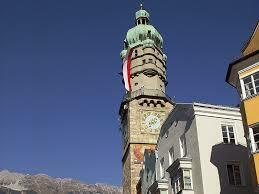 The Innsbruck City Tower rises 51m into the air and was built between 1442 and 1450 as an extension of the former City hall. It is among the city’s most important historical landmarks. “Day guards” were appointed to announce the hours of the clock and to alert residents of fires and other hazards. The last tower guard stepped down in 1967. 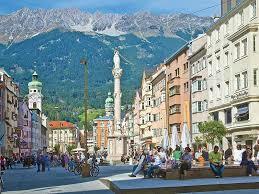 It is located on the main square and among its highlights are the viewing platform leading visitors up 148 steps to a height of 31m and bird’s eye views of the city and the Innsbrucker Stuberl located just below the top spire, overlooking the rooftops of the Old Town. It provides a location for special occasions. 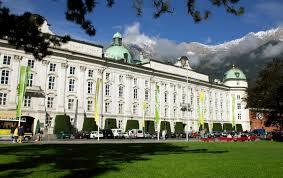 The Imperial Palace was once the seat of the Tyrolean sovereigns. It was built by Archduke Siegmund the Rich in late Gothic style about 1460 and rebuilt once again in Baroque style between 1754 and 1773 on order of Empress Maria Theresia. The palace has a set of domed towers. The building has four wings and a two-storey Riesensall, painted in white and gold and full of portraits of the Habsburgs. The Imperial Apartments have 25 state apartments that date from the 18th and 19th centuries and the giant banqueting hall. For special occasions The Gothic Cellar can be rented. Leaving the palace you can take a break of the adjoining Sacher Cafe. 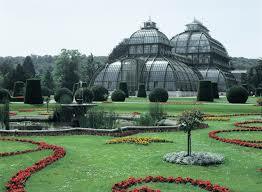 The Imperial Gardens are a lovely, large park that was designed in the early 15th century. One of the main features is a Music pavilion where summer concerts are held. There are two popular open air chess boards, park benches, a children’s playground and a cafe. Near the main entrance to the park is a monument to Archduke Eugene the artwork of the famous Austrian architect Clemens Holzmeister in 1957. On the grounds of the Imperial Gardens is an amazing greenhouse Palmenhaus in which 1700 different plants are cultivated in three different climate zones with the Victoria Regis being the most famous one. Leopold’s Fountain is an equestrian statue located on Rennweg Street and counts as the oldest surviving depiction of a rearing horse north of the Alps. The rider is Archduke Leopold V, the ruler of Tirol from 1619 to 1632. 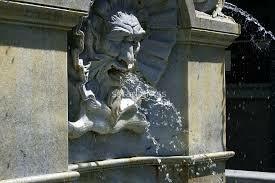 By the fountain are also statues of goddesses and deities the artwork of Caspar Gras. The original figures can be seen at the Tyrolean State Museum. 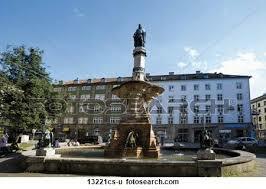 Rudolf’s Fountain was built on Bozner Platz in 1877 to commemorate Tyrol’s 500 year anniversary as part of the Austrian Empire and includes a large bronze statue of Rudolf IV. 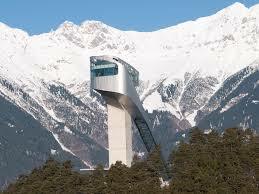 Visitors are most impressed with the brand-new Bergisel Ski Jump high up over Innsbruck on the wooded Bergisel Hill. This spectacular new ski jump was designed by Iraqi-born and London-based architect Zaha Hadid. Construction began in 2001 and it was completed in September of 2002. The tower stands 47m high and offers fantastic views. The Bergisel Stadium facilities include gondola, elevator, panoramic cafe and a vantage spot on the jumping platform. No matter if you are a skier or not this is a place that must be seen. 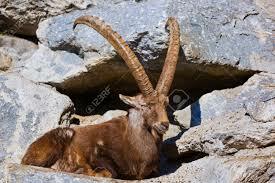 You’ll find The Alpine Zoo located at an elevation of 727m and it is Europe’s highest zoo. The zoo is home to over 2,000 animals and 150 species of Alpine animals. Here adults and children can go on wildlife expeditions. There are fish to be seen in the aquarium and you can delight in the games the European otters play. Many colorful birds to enjoy and at the farmhouse everyone can get hands-on contact with farm animals. 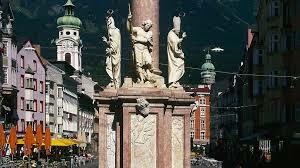 It is interesting that when the Innsbruck church bells toll the wolves start to howl. For children there is a playground with a “bear cave”. The Alpine Zoo offers an evening tour from mid-June to the end of August led by biologist Dirk Ullrich. The guided tour takes place on Wednesdays at 6PM. The zoo is open all year round. Glad it brought back pleasant memories Richard.